. THE UNIVERSITY OF CHICAGO . The Ottoman and Turkish Studies Program at the University of Chicago provides world-class training in the history, cultures, languages, and arts of the Ottoman Empire and the Turkish Republic. The breadth of the Program may be seen in our large cohort of faculty, including historians and linguists whose expertise spans the entire history of the Empire and modern Turkey. Few institutions in the world may make such a claim, and Chicago is proud to do so. We offer language instruction in Modern Turkish and Ottoman Turkish at all levels. 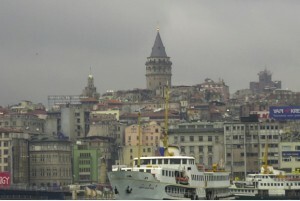 Periodically, art history courses are offered in Ottoman art and architecture. We believe the history, culture, and arts of the Ottoman Empire and Turkey should be studied in connection with the wider world. Consequently, we encourage the study of its contacts with neighboring empires and peoples as well as comparative studies across time periods and geographical and cultural lines. As unusually broad as our program is, we be believe it truly distinguishes itself in its depth. We offer Turkish language instruction at all levels (elementary, intermediate, advanced). Experienced instructors teach our courses in a relaxed, enjoyable atmosphere providing detailed and comprehensive instruction of Modern Turkish. Our instruction in Ottoman Turkish up to the advanced level also distinguishes the Program. Occasionally Old Anatolian Turkish is also offered. We place great emphasis on the philological education of all students, read Ottoman literature in the original, and encourage students to work on texts and take them as the basis for studies. The Ottoman and Turkish Studies Program does not confine itself to the borders of the Ottoman Empire, regularly offering classes on the history, culture, and arts of Central Asia, as well as periodically offering Uzbek language instruction. Our faculty is experienced also to teach less commonly taught Turkic languages such as Tatar or Kirghiz, or historical languages such as Chagatai. Our history and art-history classes range from mixed undergraduate and graduate courses to advanced graduate seminars. We believe that the University of Chicago’s Ottoman and Turkish Studies Program has a unique breadth and depth, and a faculty that is eager to share their passion with the students for exploring this fascinating field which is so central, in many respects, to the history and future of the world.